Thankful for all of the wonderful members on our planning committee that contribute their time and talents every year! Row for the Cure®, with the support of USRowing, is the rowing and water-sports community’s crusade against breast cancer, raising over $2.2 million to benefit local communities through Susan G. Komen®. With one in eight women being diagnosed with breast cancer in her lifetime, the need to fight this disease resonates clearly in rowing – a sport know for its “big boats” – 60-foot racing shells with eight rowers. With the inspiration of Portland, Oregon rower Kathy Frederick, the initial Row for the Cure® took place in 1993 on Portland’s Willamette River as a way for the rowing community to support runners and walkers participating in the Rose City’s Race for the Cure®. That first regatta raised a modest $1,500. In 2011, Row for the Cure incorporated as Rowing Cares and officially became a national 501(c)3 nonprofit. Today, with multiple events in the United States and Europe, Row for the Cure® has blossomed into a multi-sport event that includes athletes of all ages and represents four sports: rowing, canoe/kayak, dragon boat and Native American paddling. With over 20 cities having hosted a Row for the Cure®, participants now raise over $300,000 annually, rowing and paddling together to save lives in their local communities. What can we say about Penny Lewis? For those of you that know her, you are fortunate. Seattle Row for the Cure would not exist today without Penny, her leadership in the rowing community and her kind, welcoming demeanor. As a breast cancer survivor, Penny joined RFTC when it was in it's infancy stages, with the support of Kathy Frederick in Portland. 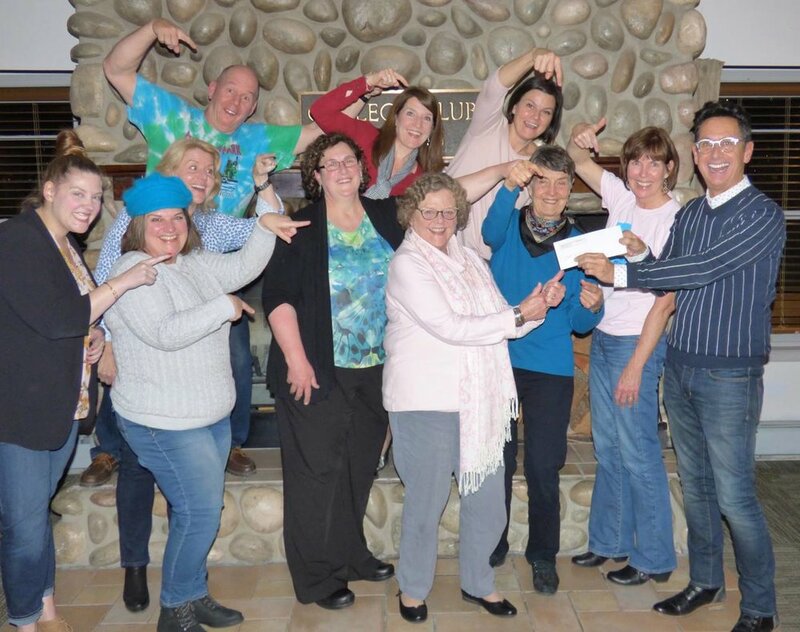 Thanks to Penny's determination and the good will that she fosters with everyone she meets, she and our partner clubs across our region, have made RFTC what it is today. Angie began serving as the Regatta Director with RFTC Seattle in 2017. She learned to row at Everett Rowing Association where she accumulated a number of high school regional championships and a silver and gold for ERAs first trip to junior nationals. Angie began her career teaching math, science, physical education and coaching in Lake Stevens. Picking up rowing again as part of a masters team, she began training for the U.S. National Team. She then earned a seat on two lightweight national teams and won the gold in 1999 rowing the 4x-. There is nothing more satisfying to Angie than to nourish others interest in rowing, revealing the thrill of racing, and the dedication it requires to prepare well for competition...in the best way possible, as a team. We are honored to have her leadership, expertise and poise as a member of our team and the RFTC Regatta Director. We are beyond excited to have Mariah back as Chief Referee again for Row for the Cure Seattle. Being from the Seattle area, she has loved seeing the event grow each year and being a part of it. From being a youth rower, to a collegiate rower, to now as a referee, Mariah has been a part of RFTC and it's growth. Supporting runs in her family as her grandmother, Anita, has made quilts for friends and church groups over the years, along with Annie and Andy dolls as a way to raise funds. Every year Mariah is excited to support our fun event to ensure the safety of all the rowers that come to be a part of it. Mariah has an impressive background in the sport of rowing including 10 years of rowing, 9 years of referee experience, collegiate rowing with University of Texas at Austin and locally with Green Lake. Julia joined Seattle Row for the Cure as a club ambassador and representative for Lake Stevens Rowing Club in 2015. As a masters rower, RFTC was the first regatta she participated in and from there, she was hooked. Having first hand experience with family members diagnosed with breast cancer, Julia is passionate for the cure and in her role supporting the planning committee in any way possible. Julia brings 20+ years of consulting, operations, and non-profit experience to the team. Her main goal is to further the success of the regatta and the RFTC event for our community and to continue to grow awareness. The GPRF began hosting Seattle Row for the Cure under their 501(c)3 status in 2005. Thanks to Matt Lacey and his extraordinary team for their ongoing support of RFTC year after year! Celebrating our PNW Community of rowers achievement with the Seattle RFTC team, founder of RFTC Kathy Frederick, and Komen Puget Sound! WE DID IT!! In 1992, CJ Taylor and a group of community volunteers, all of whom shared a vision of ending breast cancer forever founded Komen Puget Sound. The first Susan G. Komen Puget Sound Race for the Cure® was held in the fall of 1994 with 3,000 participants and raised $56,000. Seattle Row for the Cure has raised over $1.2M since it began in 2000. We were thrilled to exceed our goal in 2018 by awarding a check to Komen Puget Sound for $126,000. 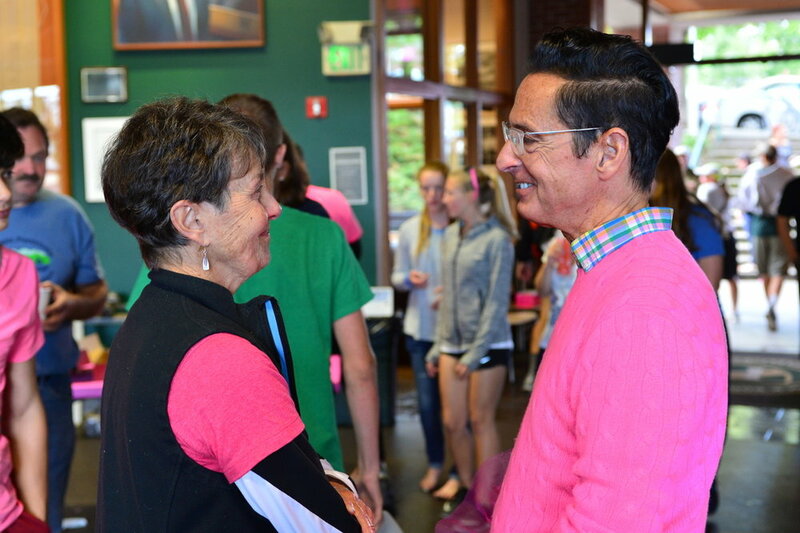 David joined Komen Puget Sound in January 2014. In his role as Executive Director, David oversees all Affiliate operations and is responsible for developing key strategies for the positioning and growth of the organization. A Seattle resident since 1990, Richart brings extensive non-profit management experience to his leadership position with Komen Puget Sound. David has gone above and beyond his role in supporting RFTC. He has been such a valuable resource to partner with and his passion for the cure is contagious! We are so thankful to have Tina as part of our team. Her enthusiasm, excitement and willingness to help is so valued! Tina joined Komen Puget Sound in January 2013 as development intern and was promoted to full-time development staff in September of that year. As special events manager, Tina oversees the success of the affiliate’s largest fundraiser, the Grace Notes Gala. She also plays a key support role for other Affiliate fundraisers and serves as the liaison for several large third party partnership events, including Row for the Cure.